When I came to Zambia almost two years ago, I was a man on a mission ready to save the world. 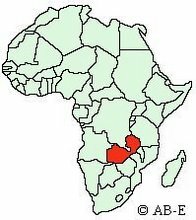 I had energy, friends in the states that were ready to give and lots of ideas on what I could do to help Zambia. I am so thankful that I had experienced missionaries overseeing me at the time that restrained me and limited my vision. At the time, I was frustrated and angry, not understanding why they wouldn’t let me help these people. I grudgingly submitted. And, now with a couple years of experience and a bit more wisdom, I am humbled and deeply grateful for these leaders in my life. I couldn’t see what they knew, but I am thankful I trusted them. If I would have been free to do whatever I wanted to do, I would have hurt these nationals even as I thought I was helping them and decimated my ministry even as I thought I was ministering. They were to me what this book I am reviewing will be for you. This book is the only book among the many books that I know on giving that focuses not on WHY we should give (it assumes that) but helps us know HOW to give. 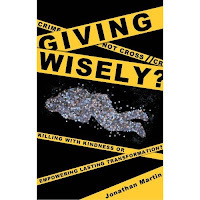 Jonathan Martin teaches us how to be wise and strategic and helpful in our generosity and how not to be ignorant, naïve and foolish in our generosity. After all, what good is storing up treasures in Heaven when the money causes harm here on earth? And you might wonder, “What harm can come from my giving?” Read this book and your heart will break as you read examples and stories from generous givers that destroyed churches, ruined pastors and divided villages. You will no doubt see yourself in some of these stories. I gave this book to a mom of one of my friends who read it twice in a week. I asked if it was a good book. She said it was great, and then she said, “And I learned how I have been doing everything wrong for the last fifty years.” You will learn how not to be generous and it might hurt a bit like it did her. But, she later expressed how encouraged and hopeful she was after reading. I believe it will also give you hope because you will not only be helped to know how you should give, but it will also stir you with passion to want to give. Jonathan uses experience from his missionary years as well as a mission’s pastor of a large church to give principles in an acronym RAISE that is both practical and biblical. He charges the readers and in essence us as a mission to measure the wisdom of our giving through Relationships by ensuring Accountable structures are in place as well as leading us create Indigenous Sustainability in our programs and projects so that we maintain Equity in our giving. As a mission, we have learned the hard way more than we care to admit. I am confident that we are moving in the right direction. I think I love this book so much because it not only continues to shape how do we ministry here in Zambia, but it also confirms to us that we are doing the right thing. We are making decisions that will honor God as we store our treasures in Heaven but also help people. Whether you are here or there, this book is a must read so you, too, can store up treasures in heaven while helping God’s treasures (his people) on earth.